With the new version of the PlayStation Portable less than a month away, Sony Japan has announced that it will sell a separate slimline battery for the handheld there. The 30g PSP-S110 battery [PDF link] will go on sale on the same day – 20 September – as the lighter version of the PSP for ¥4,500 ($40), meaning gamers can now buy multiple batteries for extended gaming on the go. The previous 45g standard battery and other extended cells are too fat to fit in the new PSP-2000. 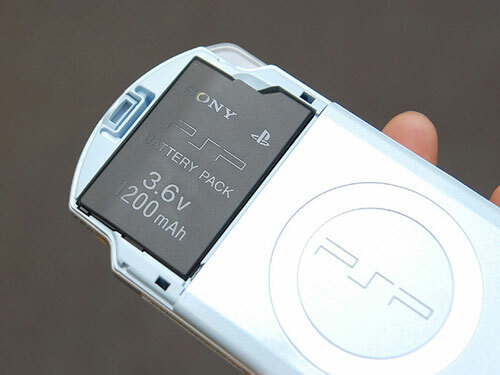 With a capacity of 1,200mAh, the new pack offers just two thirds the capacity of the previous standard battery, although Sony says increased efficiency in the PSP itself will guarantee the same play time. As we already knew, the upcoming PSP supports battery charging via USB, freeing up users to leave those bulky AC adapters at home.